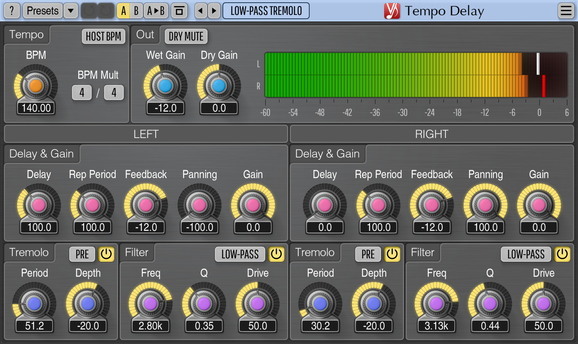 Voxengo has released version 2.0 the free Tempo Delay, a stereo delay effect plugin for professional music production applications, available in AAX, AudioUnit, VST and VST3 plug-in formats (including native 64-bit support), for Mac OS X (v10.6 and later), and Windows computers. Women marry in white because of the symbolic power. The washing machine is white, the fridge and the iron. Frauen heiraten in weiß, weil das Symbolkraft hat. Die Waschmaschine ist weiß, der Kühlschrank und das Bügeleisen.